"There has been a wealth of new products developed in the orthotic market very recently," said Connie Withers, vice president of sales for SPS. Withers continued, "Although SPS issued a combined catalog of orthotics and prosthetics as recently as 2002, we found the expansion of our orthotics offering demanded the separation and distinction of a catalog devoted to this market. Heralding the launch of ESPs new FlexiSportTM and FlexiKidsTM, SPS announces an ADDITIONAL 10 percent off introductory offer on all SPS purchases from the FlexiSleeve family of suspension sleeves from January 15, 2005 through March 15, 2005. FlexiSleeve, FlexiSport, and FlexiKids are all value priced and guaranteed for three months. Manufacturer recommends L-5675 for reimbursement of the FlexiSleeve and FlexiSport and L-5674 for reimbursement of the FlexiKids. Don’t Want to Hop? Stomp Instead. Sometimes putting on a prosthesis just to move from point A to point B is more than necessary; yet hopping between points isn't exactly the safest option to suggest to your patients. Now there is a simple, safe, and economical alternative for all the amputees in your practice - the StomperTMand Stomper JrTM available from SPS. Designed for use in and around the water, Stomper and Stomper Jr are the perfect prosthetic solution for use in a shower, at the beach, or in the pool. 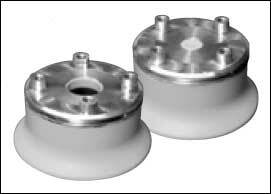 It may also be used during static fitting of test sockets to facilitate ease of mobility in and around your facility. The Stomper Jr easily attaches to 30mm and 34mm pylon systems, or Stomper can also fit on a 2 (OD) PVC pipe, and both are available in red, blue, and black color. Based upon years of experience in materials technology and innovative design, Ossur® has released its latest technological innovation, the Rheo KneeTM. This marks the first product launched under the revolutionary new Bionic platform. This bionic technology is now exclusively distributed by SPS. Combining Rheo Logic programming software and legendary Flex-Foot ® dynamics, a revolutionary transfemoral prosthetic system results in natural walking - effortless and secure - for the user, while providing simplistic programming and low maintenance for the clinician. 36-month limited warranty provided with servicing at 15 and 30 months. Realastic Prosthetics (a division of Health Related Products Inc.) has been working with its own formulation for a silicone that provides durability, along with a high-definition look. Dewey Yeargin, president of Health Related Products, says, "Not only is our Realastic silicone formulation highly durable; it is also available in 23 colors for a truly value-added product." Realastic's silicone formulation is used in manufacturing custom fingers, production gloves, custom sculpted ears, and custom sculpted noses. Heavy, rigid spinal orthotics and the elderly are like oil and water; they just don't mix. Many of our senior citizens are unwilling or unable to tolerate a traditional, rigid spinal orthosis. Thus the old "compliance" issue rears its ugly head. But alas! There is a solution. 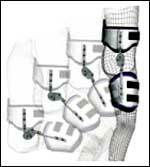 The principal advantage of the "OrthoLite" is the weight reduction (20 percent) over a traditional, rigid spinal orthotic. The three-part laminate consists of a soft liner, a thin inner frame, and a semi-rigid outer shell. The inner frame has windows cut for a.s.i.s., rib and spinal relief. The "OrthoLite" is available as a LSO or a TLSO. It can be fabricated as one piece or as a bivalve and ordered custom to measurement or cast or as a prefabricated product. Pelvic migration is the number one complaint from patients who wear a hip orthosis. When the patient sits, the pelvic band migrates up into their chest. Why? Standard, fixed axis hip joints do not mimic the natural movements of the body. The Hip Tracker Tricentric Hip Joint is the only joint on the market that allows the pelvic band to track the pelvis through flexion as the patient sits. Precisely proportionate gears are used to create the world's only polycentric hip joint that mimics the proximal end of the femur as it articulates with the hip bone. No longer do your patients have to live with the discomfort of a migrating pelvic bnad. The Hip Tracker eliminates all the discomfort associated with a migrating pelvic band. Call today to find out more about this revolutionary breakthrough! Seattle Systems has released an enhanced Cadence HP foot. The patented C-shape design promotes a more natural gait and assists with weight transfer, contributing to forward momentum without awkward upward propulsion. The split keel allows the foot to adapt to uneven surfaces, and building on that the enhanced Cadence HP has added multiaxial motion to make every step more sure-footed. In addition, Seattle Systems has dropped the weight by nearly one-third to make the foot more agile without sacrificing durability, quality, or performance. In response to tightening profit margins in the industry, the price has been dropped to make the Cadence HP an incredible value. These cost-effective, multi-layered silicone cosmetic covers have true skin-like characteristics. A swatch kit of 26 colors is used for matching skin color. Suntan and other effects are included routinely. Heat is not necessary for installation. Upper- and lower-extremity covers available! 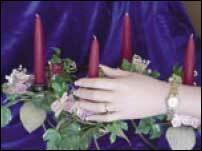 Wholesale: Hand - $424.59, Leg - $488.28 with purchase order or credit card. For prosthetists seeking a quality and reliable prosthetic foot for level 1 or level 2 ambulators, look no farther than Ohio Willow Wood's SACH foot with Titanium Pyramid. The foot is lighter than our SACH foot since no foot bolt is necessary...the titanium pyramid is already attached! The SACH foot with Titanium Pyramid also costs less than buying the SACH foot and pyramid separately and costs less than many competing products. Providing quality construction and value for prosthetists and patients alike...when it matters most, you can count on Ohio Willow Wood! 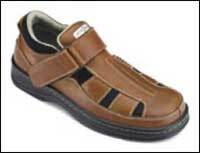 Need Fishermen Shoes – Visit Orthofeet! The entire shoe is lined with a smooth fabric and padded with foam, which provides excellent protection against irritations. The shoe is built on anatomical last with 5/16" added depth, which provides relaxed fit for diabetic orthotics. Additionally, a stretchable construction across the forefoot, adjusts to accommodate forefoot deformities and swollen feet. The soles ergonomic construction enhances stability and reduces stress at the forefoot during ambulation. The new Men's Fishermen Shoe (Model 572) has received A-5500 SADMERC Code Verification. 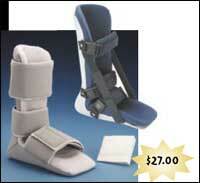 Ongoing Care Solutions offers a complete line of orthotics, including OCSI WEL-KARE NIGHT SPLINTS at $27.00 each! WEL-KARETM Passive Night Splint Nighttime solution for plantar fasciitis. WEL-KARETM Stretch Night Splint Adjustable solution for plantar fasciitis. 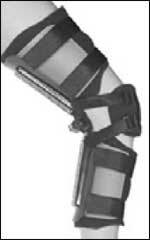 Visit www.ongoingcare.com to view these Night Splints as well as our complete product line. 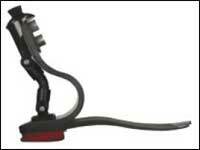 PEL Supply offers reduced pricing on the Cadence HP Foot from Seattle Systems. The new low price includes all accessories (foot shell, Spectra sock, heel height wedges, and cosmetic shell installation tool). This coincides with an efficient, new product design that reduces the weight by 35 percent and adds additional multiaxial motion to the already extensive ROM and biologically emulated plantarfl exion. The patented C shape ankle allows the foot to plantarfl ex upon heel strike, and the forward momentum completes the gait cycle effortlessly and with stability. According to Seattle, no other prosthetic foot has a more natural or comfortable range of motion. 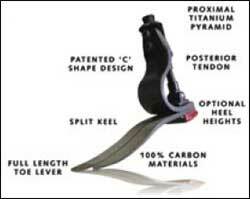 The new KMO (Knee Management Orthosis) from Anatomical Concepts is now available from Knit-Rite. The KMO offers an adjustable range of stabilization of the knee in the sagittal and/or the coronal plane as the patients condition warrants. The KMO is great for pre- and post-operative management of bony and soft tissue injuries and is the ideal application following hamstring releases, ligament repairs, total knee arthroplasty, and chronic system conditions. The KMO offers a cost effective, patient-friendly, and simple approach to the orthotic management of the knee. The Currier Coupling is a laminated, 4-hole European style socket attachment block. A vacuum-formable urethane is used instead of foam or wood as the connection material. When you place the Currier Coupling on the mold and apply vacuum, the urethane conforms to the cast, eliminating the need for any fi lling or blending. A groove has been milled on the coupling itself, so that when your PVA is in place and secure with the provided o-ring, the need to cap your inside bag is eliminated. The Currier Coupling is easy to use, saving both time and money.